Capturing, storing and uploading images with Ionic is one of the most used functions. 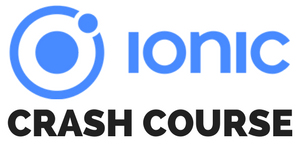 Everyone wants to take photos and work with them inside their app, but in my previous guide about using images with Ionic many people encountered problems on Android. Others needed a backend to upload images. And the code is a bit outdated as well. So in this tutorial we will see how to take a photo or load one from the library, copy that image inside our app folder and finally upload it to a very simple PHP server. In this tutorial we will use Ionic 1 due to the high demand, but if you want an Ionic 2 app for this case as well please leave a comment below! Let’s get the fun started, this is a real hands-on project and you could take the code as a starter for many other projects. We start with a blank Ionic 1 app and install a handful of Cordova plugins we need to access the camera, the filesystem and so on. Additional we install ngCordova, the Angular 1 wrapper for Cordova plugins. Now we got a solid amount of plugins and stuff for our app. Note that we need to test this app inside the simulator or a device as we need native functionality, so make sure to add the platform (iOS/ Android) you need to your project. Nothing really special, but note that we will resolve the actual path to the image using a function. By doing this we could always get the path right even after appstart. In this example we are not storing the image, but if you plan to you would only have to store the name of the image and the path to the app folder will always be added. As you can see, we load quite a bunch of dependencies here. We will see them in action later, for now we only have our empty scope image and a function to display an alert. Let’s continue with the funny part! We need to specify some options which we then can pass to the $cordovaActionSheet. When the user selects one of those 2 options, we call our actual image taking function with the specified source type. The actionsheet will look like this on iOS. This is our next function, and the biggest one of this tutorial as well. Actually the code is only that long because we have special treatment for Android with photo library, all other cases already work with one part of the function. I am not completely sure why we need this, but after long testing I found this solution to be working on iOS and Android with Camera and library as well, so if you had problems before, this code might fix it. // Image will not be saved to users Library. // If you are trying to load image from the gallery on Android we need special treatment! The $cordovaCamera.getPicture call starts the photo selection, either by starting the camera or by opening the photo library. This part works fine, but now we actually want to copy that image from wherever it is currently to our app folder. If we are now on Android and have selected the library as source type, we call some functions to resolveNativePath of the file, because the URL we get from the picker won’t work out of the box. Now we can resolve the correct path to a local filesystem URL and finally $cordovaFile.copyFile to the directory of our app. We specify the cordova.file.dataDirectory, you can see where those folders are on the ngCordova documentation for the File plugin. The else part for all other cases is quite short compared to the special treatment, and we do the same thing as above but now we can also call $cordovaFile.moveFile as we are allowed to move the file. In the previous section we could only copy the file to our directory. We simply return the directory of our app plus the image name. If you plan to store the image names, you can do this and create the correct path after startup again. If you would store the whole path you might get into problems as the path to your app folder could change over time! So now we are already able to load an image into our app. The next part handles the upload to a simple PHP server. If you want to learn Ionic 1 in detail, make sure to join my step-by-step course Ionic by Doing! The image you choose should be visible inside your app view like in the image below. The Ionic part for file upload is kinda easy. We need the URL to the server, the file and some parameters and then we can call $cordovaFileTransfer.upload to upload our file. Obviously you might have to change the destination URL wherever your PHP server is. This tutorial won’t be complete with a solution for that accepting part, so go ahead to create your little PHP backend! There are many problems related to ionic image capturing, loading them to the app and using them later. This tutorials shows a way to bypass those problems on iOS and Android plus how to use the local files inside your app to send them to a PHP server. If you encounter problems or simply like the tutorial, leave a comment below and share it with your fellow developers!